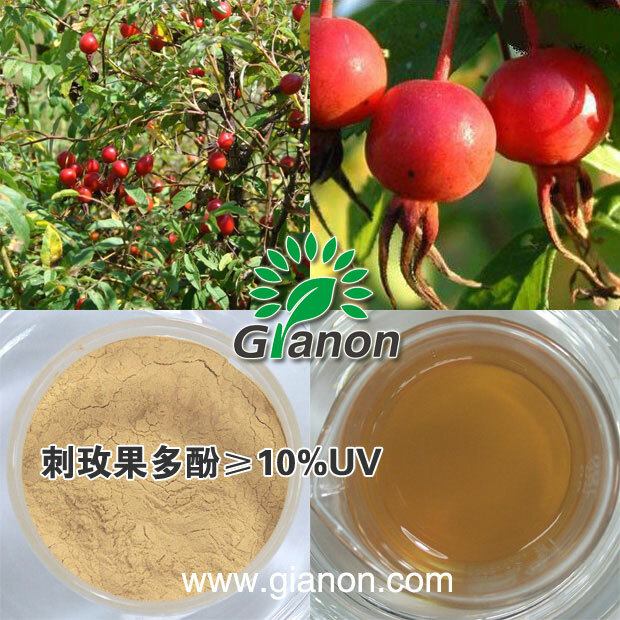 ﻿ Rose hip Extract - Ningbo Gianon Biotech Co., Ltd.
Wild Rosa acicularis, scientific name is wild rose (Rosa multiflora Thunb. ), also known as the wild rose, mountain Rosa acicularis, belong to rosaceae, widely distributed in Heilongjiang and south of Daxinganling and Xiaoxinganling, etc. The fruit of rose hip is temperature. It tastes acid and has rich nutrition, which is folk large quantity to be eaten or used for making tea, soaking in wine, etc. "Chinese Dictionary" which claims that rose hip has effects of the spleen qi, nourishing menstruation. Eighth and ninth edition of the former Soviet Union also claims that it can be the treatment of scurvy. In recent years a large number of domestic researches show that it has anti-aging, prevention of cardiovascular diseases role. At present the wild Rosa acicularis, as a kind of natural health care drugs, has been increasingly attention and extensive development.